By now you must be familiar with Engrish… the act of Japanese people and companies trying to use English when they don’t have a full understanding of the words. Using English words in everyday life, especially on signs is a popular practice all over Japan and Asia. Unfortunatly, this Chinese restaurant learned the hard way that you should never trust a computer translated result 100%. 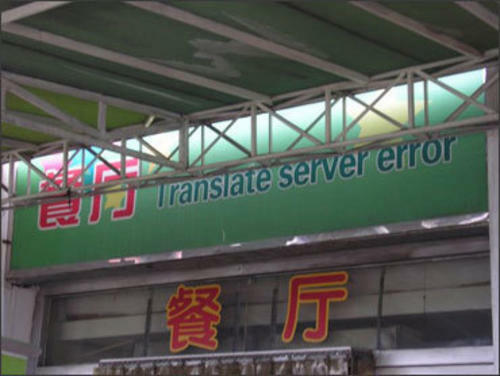 When trying to translate their name into English, the server obviously was having a bad day. Im sure the restaurant owner had a worse day after learning about his error.